Think your commute is bad? Well, you could be Scott Holt of Jersey City. He was recently running late for an important business meeting and decided the best decision would be to paddleboard across the Hudson River in his suit. 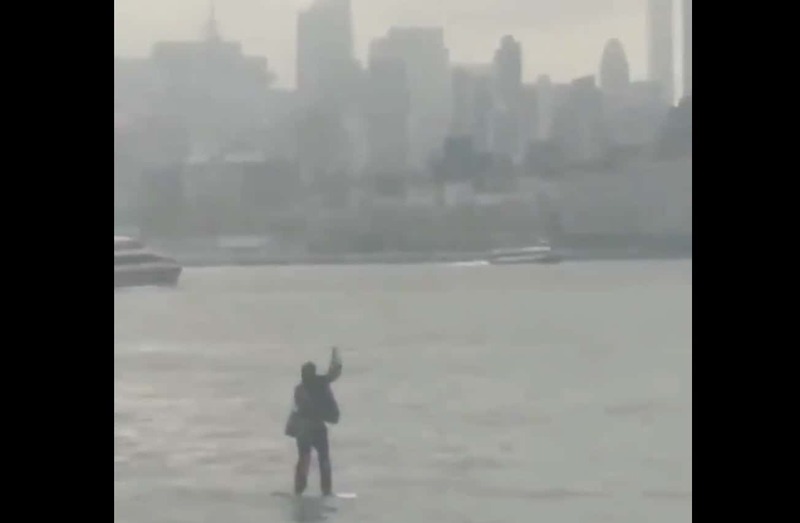 ON THE MOVE: A well-dressed man is seen paddleboarding across the Hudson River – because sometimes it just isn't worth fighting that rush hour commute.